Up until now Amazon has had a free reign of the market for home assistants thanks to the success of Alexa. It was time to get some competition, which tends to make things better all around and few companies are more capable than Google. That's exactly what the search giant is doing today. While rumored as the event to unveil the Pixel Phone, other things were also on tap for showing off, including a new Wi-Fi system and Home, Google's answer to Alexa. 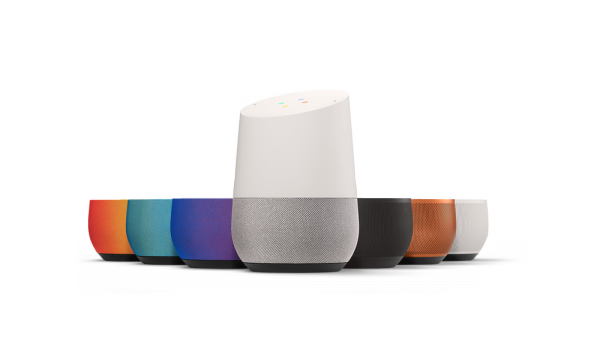 Google Home will handle all of the expected chores, giving you weather, traffic updates, playing music and answering general questions. All of this begins with "OK Google", which may confuse your phone or tablet. Play Music is included, as are other options such as Pandora, Spotify, TuneIn and YouTube, which is offering six months free of Red. Google's Ken Mixter says "Ask Google Home to translate phrases and do simple math calculations. Kneading pizza dough and need to change ounces to grams? Ask and get unit conversions and nutritional info, too. Getting ready for the day? Get real-time info on the weather, the stock market, the traffic, or your favorite sports team. Google Home can also help you find answers to more obscure questions directly on the web. It’s all the power of Google with a simple voice command". ALSO READ: Google Wifi reinvents the wireless router -- but does it need reinventing? Customers will also be able to make simple requests such as "Tell me about my day" to get a list of events, pulling from such sources as the Calendar. Finally, users can customize the look of Home by choosing from an array of colors and materials. The device will be available in November and sold in such stores as Best Buy, Target and Walmart. It will retail for $129 and you can even buy multiple ones to create a whole-house audio system.